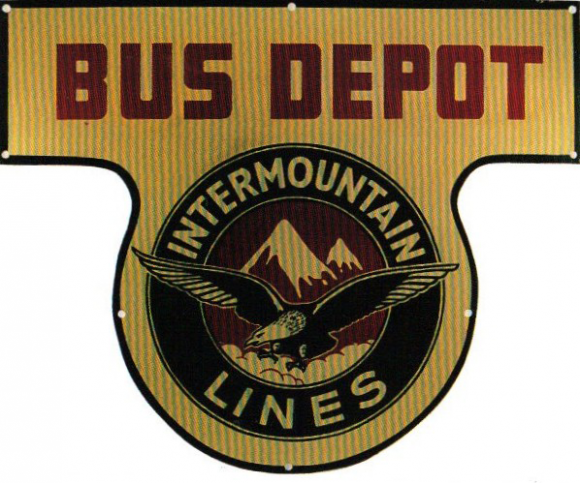 This is a die-cut Intermountain Lines Bus Depot porcelain sign. This particular Intermountain Lines Bus Depot sign is predominantly beige with red and white text. It reads, “Bus Depot, Intermountain Lines” and features an eagle soaring over two mountain tops.